DETROIT — Almost two months ago it seemed unthinkable the Detroit Tigers would net the first overall draft choice for a second straight year. Detroit remains third in the American League Central, but that’s a division with the only two teams in baseball winning less than 40 percent of their games. 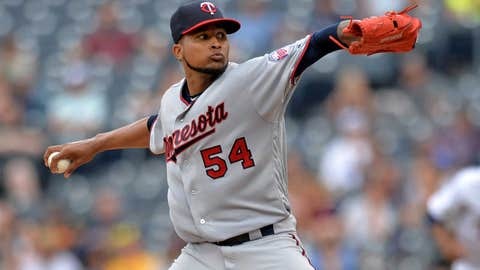 The Twins’ scheduled Sunday starter, southpaw Adalberto Mejia, is dealing with a left wrist problem that may keep him from starting that game. If that’s the case, manager Paul Molitor is dropping hints Minnesota may copy Tampa Bay and open with a relief pitcher for one or two innings. The Twins have done that a couple of times in the minors to test its effects. If he can’t go, right-hander Fernando Romero is scheduled to start for Triple-A Rochester on Sunday and could be recalled, possibly to pitch after a reliever opens. “They used the ‘opener’ in that game, so you look at the numbers and read the report,” Molitor said. “The attacking, the command of all his pitches. He’s always on your radar as a guy you can dip down and get if you need someone.